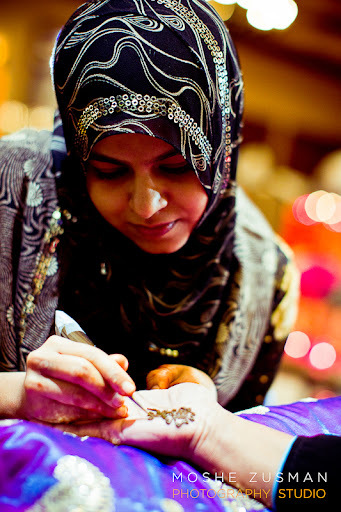 My love for henna that speaks loud into my work is deeply embedded into me from my childhood. I am an self taught henna artist with an experience of more than 15 years as a professional. My years of experience and self developments in henna have brought me to a stage where all my designs are unique and different from the previous ones. It brings me real pleasure in making my brides and their guest happy and contended with my elegant style n designs. I have mastered myself in traditional intricate and Arabic styles with My own creativity called indoarabic designs which is the fusion of both. It brings me immense pleasure to pass on my art and talent as an henna instructor to the future generations. I am confident that it will aid those inquisitive henna lovers to easily trod onto the successful path to a promising career.